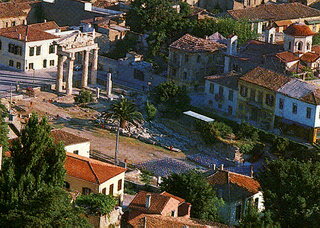 Roman Agora of Athens is a large building measuring 111 x 98 m., comprising a spacious rectangular courtyard surrounded by stoas, shops and storerooms. It has an east, Ionic propylon and a west, Doric propylon, known as the Gate of Athena Archegetis. It was built between 19 and 11 B.C. with a donation of Julius Caesar and Augustus. During the reign of Hadrian the court was paved with slabs. 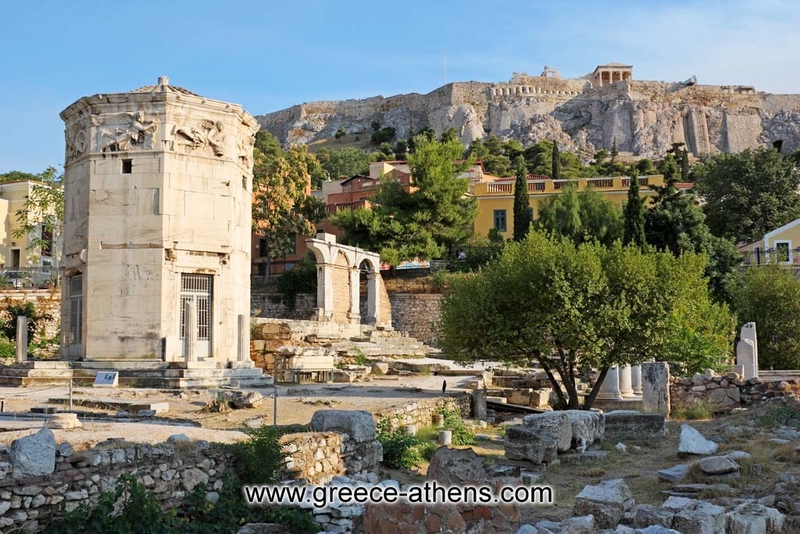 After the invasion of the Herulae in A.D. 267 the city of Athens was restricted to the area within the Late Roman fortification wall, and the administrative and commercial centre of the city was transferred from the Ancient Agora to the Roman Agora and the Library of Hadrian. During the Byzantine period and the Turkish occupation the area was covered with houses, workshops and churches along with the Fethiye Mosque.